President Obama designated Browns Canyon a National Monument on February 19th 2015. There is approximately 21,500 acres of rugged mountains, beautiful vistas, and colorful rock outcrops in the Browns Canyon National Monument designation. This new designation protect the area from new development such logging roads, permanent structures, dams, and new mining and mineral leasing claims preserving this beautiful land for future generations. Browns Canyon is located south of Buena Vista, Colorado and is a mecca for outdoor activities. The Arkansas River flows directly through Browns Canyon and offers world class whitewater rafting and kayaking. There is a 102 mile section of the Arkansas River, including the Browns Canyon National Monument section, that has achieved the greatest title wildlife officials have to offer for fisheries: “Gold Medal” water. Gold Medal Waters are considered the highest quality cold-water habitats accessible to the public and offer the greatest potential for trophy trout fishing. There are public campsites throughout the canyon that can be accessed by rafts on overnight rafting trips and other camp sites that can be accessed via vehicles at Hecla Junction or Ruby Mountain. Camping within the canyon is an unforgettable secluded wilderness experience. If you are not a water person there are plenty of land activities to partake in such as rock climbing, hiking or mountain biking. Here at Browns Canyon Rafting we are super excited about the upcoming season. 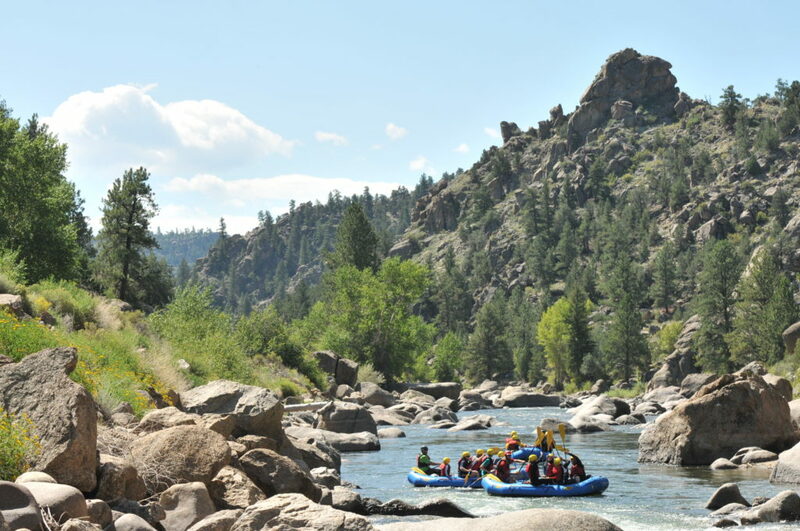 It means a lot in our community to see Browns Canyon become a National Monument and we hope to share this protected wilderness with you and future generations through our Buena Vista rafting trips.